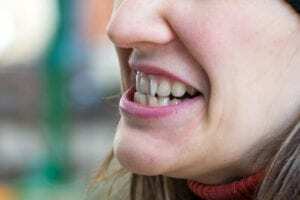 Are Crooked or Crowded Teeth Prone to Gum Infections? Let’s start with, why is it important to avoid gum infections? The most important reason is that your overall health is compromised when you have a gum infection. When the gums are infected you are pushing bacteria into the bloodstream while eating and chewing. As an example, when you cut your skin, bacteria get pushed into the bloodstream. You wash it off and dry it and the bacteria stop getting into the bloodstream immediately. Problem solved. Infected gums act like thousands of open wounds where bacteria are getting into the bloodstream during every meal you chew. This constant daily battle causes your organs to have to work harder to stay healthy. Now back to crooked and crowded teeth. There are two reasons why they make it harder to avoid gum infections. When brushing crowded teeth, the teeth that stick out the furthest get brushed easily and teeth that are tucked in often get missed. Therefore, cleaning around crooked and crowded teeth requires much more effort than straight, even teeth. Crooked teeth cause food to get driven in and wedged between teeth. This food drives bacteria further below the gum line. This in turn increases the speed of gum infections progressing below the gum line. 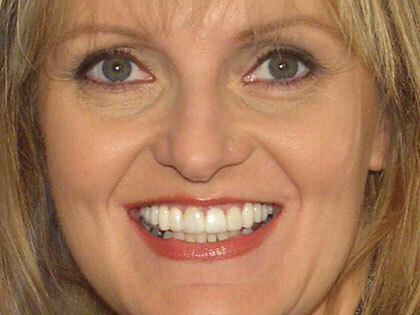 Now here’s the good news, you don’t have to put up with the crooked, crowded teeth. 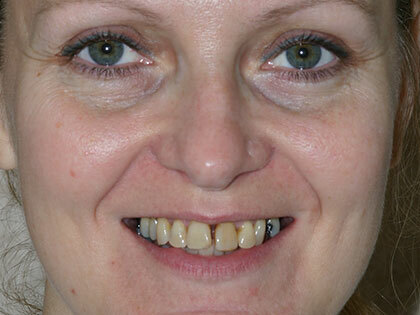 We can now straighten crooked and crowded teeth in half the time that we could just 12 months ago. With the latest version of Invisalign®, we can often straighten out crowded and crooked teeth in less than 6 to 8 months, and we can do that for eight out of 10 patients. This is brand-new technology that has just become available in the last three months. If you have any questions feel free to call me at my office anytime. 760-726-0770.